Before we get to last week's news recap, we needed to alert you right up front about a VERY special event - Second Tuesdays Schmooze Salon! We're including this button right here as your own personal invitation. If you enjoy Pinot Noir, Jack Daniel's, Cabernet Sauvignon, House of Lords, Jose Cuervo, Crown Royal, Chardonnay, Budweiser, Merlot . . . or networking with any of the above in your hand, click the wine glass to the right. Fair warning: if you don't, a puppy will die. We kid - no animals were harmed in the writing of this invitation. But seriously, click the button to RSVP. He's dead. Nearly ten years after that horrible September morning, justice has been brought to a man whose network was behind the worst attack on American soil. What does his death mean to American families directly impacted by 9/11? For some, the news is welcome and brings closure to a decade of pain, while others feel a wound torn open. Still more are filled with emotion and but aren't sure how to digest what's happened. They got him! U.S. Navy Seals parachuted to the grounds of a large compound and dispatched the leader of Al-Qaeda. His body was photographed for identification and then flown out for burial at sea. Al-Qaeda confirmed his death today and we are cursed now and forever. The Twitter-verse exploded with rumors, then confirmation that the world's most-wanted terrorist had been taken out. A Pakistani IT guy unknowingly tweeted the raid as it was happening. Also, a young middle school teacher’s single Facebook post misquoted Martin Luther King, Jr., went viral, and was received warmly by many. A touching story. Obama's late-night announcement can be viewed here, which no doubt cut into The Apprentice's ratings. How's that for a last laugh, The Donald? Breaking news has a bad habit of pushing all other stories aside. Here are five that are now crying in a corner. The story of America's fragile alliance with Pakistan is now dominating the news cycle. CIA's Leon Panetta told reporters that the agency didn't trust Pakistan's intelligence service enough to involve them in the middle-of-the-night raid. As expected, Pakistan has not responded well to this and similar remarks made by U.S. officials. Did Pakistan authorities really not know that bin Laden was "hiding out" in the open for five years? Yeah, whatever. Anyways, Pakistan doesn't want us conducting further "unauthorized" missions on their soil. What are the Pakistanis to do in this kind of predicament? Hire a Washington lobbying shop, of course! We'll be keeping tabs on all the drama. Now that bin Laden's gone, is the Al-Qaeda network in its last throes? Leaders around the world aren't so sure. However, his death might translate into a hastened exit of U.S. forces out of Afghanistan. Beyond the lives lost in the hunt for bin Laden, we also bear the huge financial costs. 3.6 million views and counting. This photo of Obama and members of his national security team is now the most-viewed photo on Flickr. Finally, please give a warm welcome to the "deathers." Just replace a photocopy of Obama's long-form birth certificate with a gruesome photo of bin Laden and you end up with the latest spawn of the birther movement. The President decided against releasing images of bin Laden's corpse, which will only agitate the deathers. We can thank that angry man, Andrew Brietbart, for birth-ing up this newest band of conspiracy theorists. While we haven't covered every angle of the bin Laden mega-story, we remind you that, yes, there are other things going on in the world. House Republicans are now backing off from a plan to "overhaul" Medicare. Now, how do those Republican members feel on the other side of angry town hall gatherings? Budget guru Paul Ryan says there's no room for debate until AFTER the 2012 election. That is so honorable of you, Mr. Ryan! Obama will be in Texas next Tuesday to discuss immigration reform. Here we go again, folks. Now that Republicans are the majority in the House, comprehensive immigration reform is sure to succeed! However, we may witness bipartisanship in the weeks and months ahead as the White House and Congress are moving forward to lower the corporate tax rate. What will frothing-at-the-mouth conservatives say now about Obama's tax policies? At least two dozen protestors have been killed in another day of clashes with Syrian government forces. Amnesty International places the total number of protestors killed thus far at 171. Syria's president is said to have ordered a "probe" into previous killings. Can we expect other governments, including our own, to intervene and prevent more bloodshed? Obama flew to New York City and honored the victims and heroes of 9/11, just days after bin Laden's death. Former President George W. Bush declined to attend, with some sources saying Obama's predecessor is peeved that he and his team didn't receive due credit. Boo-hoo. Fine, we'll thank you, Mr. President. Thank you for taking your eye off Afghanistan by sending our brave soldiers into Iraq. Obama also met, in private, with members of the SEAL team who participated in the operation. We don't know about you, but we're totally renaming the company bulldog "Six." The House approved the No Taxpayer Funding for Abortion Act Wednesday. Under the bill, businesses with health insurance policies covering abortions would not be able to recoup tax credits. The legislation would also prohibit federal money from being used to pay for abortions through Medicaid. The bill now moves to the Senate, where we’re hoping the Senate will live up to its reputation as Wheel Spinners and talk a lot about it without actually doing anything. In this case, it’d be a blessing. The Florida House also passed its own anti-choice legislation that would force a woman seeking an abortion to view the ultrasound of their fetus. In the meantime, the Guttmacher Institute released a video reminding Republicans that women who seek abortions aren’t stupid. Guess some folks just need reminding. Is that an echo we hear? Apparently, the first ever 2012 GOP presidential debate took place on Thursday. The stage was set for America's most boring candidate, Tim Pawlenty, to shine. The Associated Press and Reuters sat out on this South Carolina circus hosted by the state GOP and Fox News Channel. Pizza, pizza, and more pizza is all we could think about. Speaker Boehner couldn't bring himself to watch the debate, either. Japanese workers entered one reactor of the stricken Fukushima Daiichi nuclear power plant for the first time since the earthquake. Multiple shifts of workers will be required to install ventilators, which will hopefully lower radiation levels in the building. Japan's PM is pressing for another nuclear plant to be shut down, just to be on the safe side. Missouri farmers filed a lawsuit against the Army Corps of Engineers after the Corps blew a hole in a levee to lower the rising water of the Mississippi River to prevent major flooding in Cairo, Il. More than 100,000 acres of farmland have been affected -- some under eight to ten feet of water. Rep. Debbie Wasserman-Schulz was elected chairwoman of the Democratic National Committee Wednesday. She succeeds interim chairwoman Donna Brazile. Congratulations! Here's a little quiz for you folks: What do Katie Couric, Diane Sawyer, Brian Williams, and Anderson Cooper - just to name a few - have in common? If you can answer this, you should consider running for a half-term as Governor of Alaska, because Sarah Palin is totally clueless. New Hampshire's GOP House majority leader was ousted from his leadership position over a little incident involving marijuana. Rep. Robert Watson, who in February fought against legalizing pot and Guatemalan gays, was arrested with a bag of the green stuff at a police checkpoint. We at Turner Central love this kind of story. Beliebers are furious (isn't this some kind of pattern?) at some pranksters who threw a few eggs at the teen idol. Poor Biebs. A Fox affiliate down in Houston does not like Glee and the pervasive gay agenda it promotes. "Is TV too gay," asks the segment lead-off. How would they know? Bryan Fischer and the American Family Association are experts. Our First Lady showed us her dance moves during her visit to a D.C. middle school as she promoted her message of youth fitness. Americans can't get enough of The Situation, apparently. He's signed a deal with MTV to star in his own show. We don't know what's sadder - that Sorrentino is still a brand or that his claim that he wants to move away from reality shows. CNN's John King, known primarily for his "magic wall," (what else? ), must show you this exclusive, in-depth representation of what really happened in the Situation Room. He was there, of course. This week in fun political tweets: Virginia AG Ken Kuccinelli confused his fellow Virginians this week and then did it again hours later. Chuck Grassley alerted his followers about his new-found method of mowing the lawn. How adventurous! Registering just one website for a campaign is not enough these days. New York congressional candidate Jane Corwin is learning the hard way. The owner of the spoof campaign website is the same guy who punked Gov. Scott Walker. Well-off companies are digging into the social media space with games targeting already active users. They hope the effort will pay off. Also taking off is revenue derived from social media marketing - a whopping $8.3 billion estimated by 2015. The Wall Street Journal is looking to become the next WikiLeaks, or something. Editors will comb through submissions. Beware, whistle-blowers, SafeHouse may not be a good deal. Take a look at Facebook's new home. The new campus happens to be located in your Royal Executioner's hometown. You absolutely MUST attend Second Tuesdays Schmooze Salon & Professional Networking Party. You see that big red button below? Click it. Click it, or the puppy, er bulldog, will die. We kid - no animals were harmed as we wrote this e-mail. Cinco de Mayo is not over! Ceiba is serving margaritas, tacos, fish and chips and more, at cheap prices, through Sunday. Y'all can also head on over to the Kentucky Derby Party at Bourbon for more drinks and snacks. Saturday is National Train Day. Although events are taking place around the country, D.C. peeps can ride the metro to Union Station to enjoy the festivities. 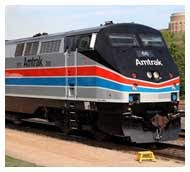 Amtrak is also celebrating 40 years of service. From 10 to 4 on Saturday, European Union embassies will be open to the public. They say there's going to be food, music and dance, so you'd better go. You might even learn a little history, too. The Embassy of Austria is this year's honoree at the Washington National Cathedral Flower Mart. Take a tour through time on the Grapes of Wrath Bus Tour and learn about Stonewall Jackson and the Civil War. Yes, there is wine involved. Are you planning on remodeling your home during the summer but have no idea where to start? The D.C. Design House is open for your viewing through Sunday. Torpedo Factoring Art House in Alexandria is hosting a benefit for Doctors Without Borders and victims of the Japan earthquake. Sometimes, it's difficult not be overwhelmed by all the coverage of bin Laden's death. We can certainly say that Twitter played a big role in breaking this week's big news. We're looking forward to a weekend of relaxation and we hope you are, too!